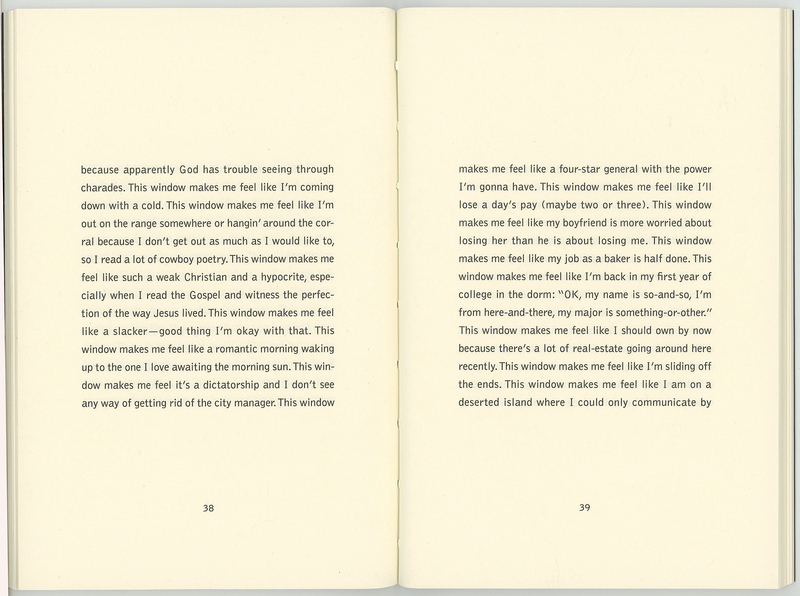 Here are two facing pages from Rob Fitterman’s This Window Makes Me Feel. 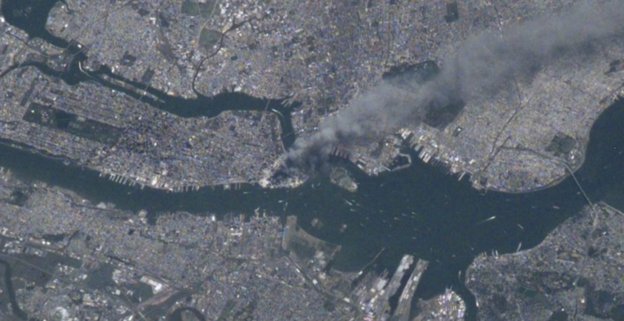 Written in the long shadow of 9/11, this book of prose poetry “replaces the individual poet’s response to catastrophe with a collective, multi-vocal chorus of everyday” expression. Parts of the work have been published before, but this Ugly Duckling Presse edition is the first time the whole poem has been printed as one. It is one of the earliest examples of a long poem solely composed with repurposed language taken from the web. We at ModPo will be filming a short video about this excerpt (see below) of Fitterman’s work. I received my copy the other day and cannot stop reading and rereading the sentences. I don’t exactly know what Fitterman’s method of copying/quoting/reworking others’ statements from the web was, but I spent part of my psycho-emotional energy while reading the book surmising it. And I discern, in my approach to reading, that knowing generally that this particular poetic unoriginality derives from an impulse to collect (as in collecting language and collectivist collage) — and being induced to ponder the reasons for it (hearing the “multi-vocal chorus” etc.) — seems, at least for now, easily good enough for realizing not just the effect but the ethical ambition.